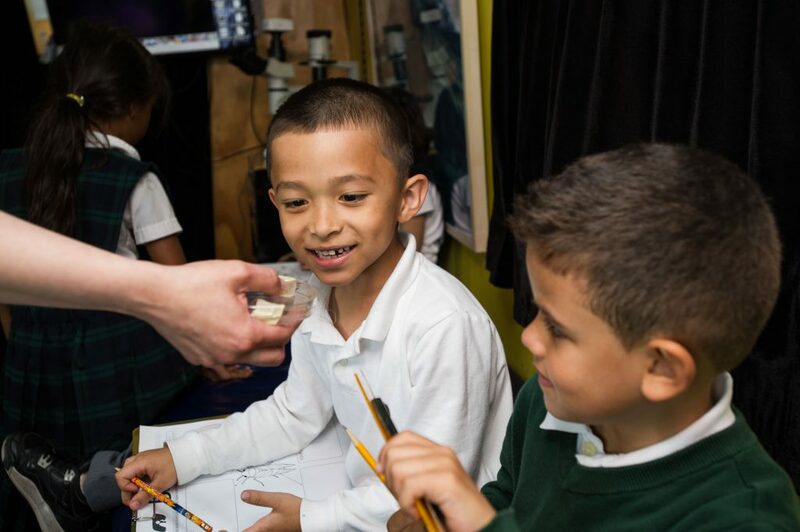 BioBus brings science to the children of New York’s underserved communities by way of buses turned into mobile labs. The labs, moreover, are powered by solar panels. At Kars4Kids, we were bowled over by the ingenuity of this organization and its impact and pleased to award BioBus a small grant. 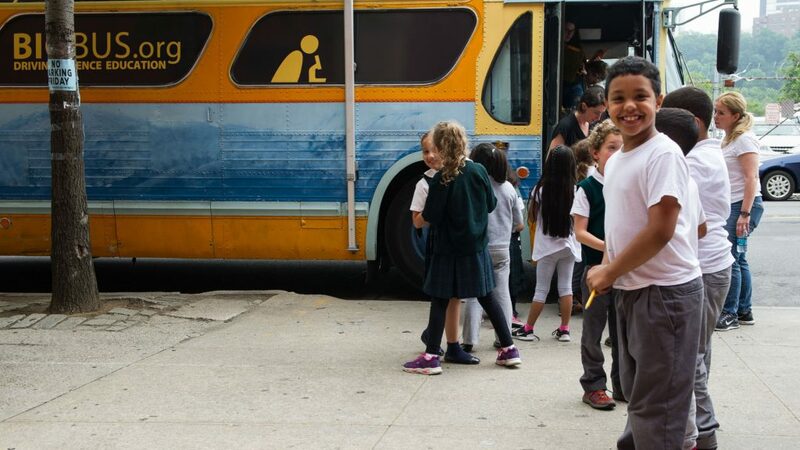 We spoke to BioBus Executive Director Ben Dubin-Thaler, Ph.D., to learn all about the work of this uniquely creative nonprofit organization. 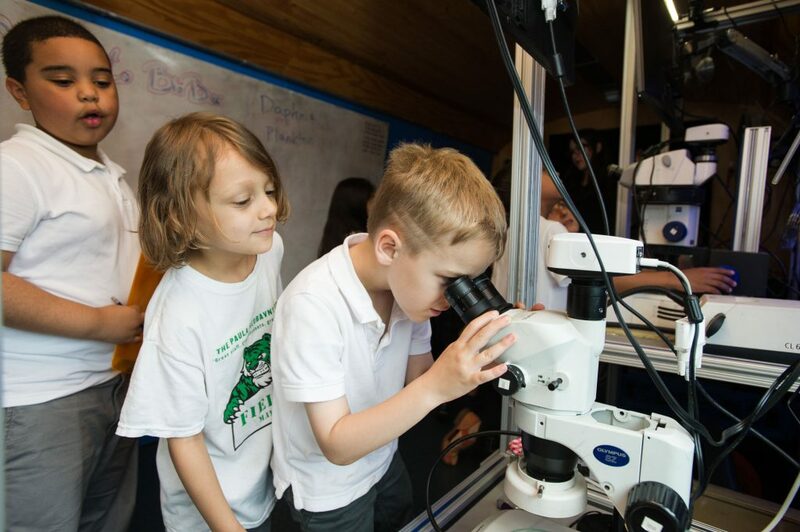 Kars4Kids: As of 2018, BioBus has turned on 250,000 students at over 500 schools to the cool world of science. How many mobile labs do you operate? Ben Dubin-Thaler: I founded the organization and built BioBus I, our first mobile lab, on a 1974 public transit bus. 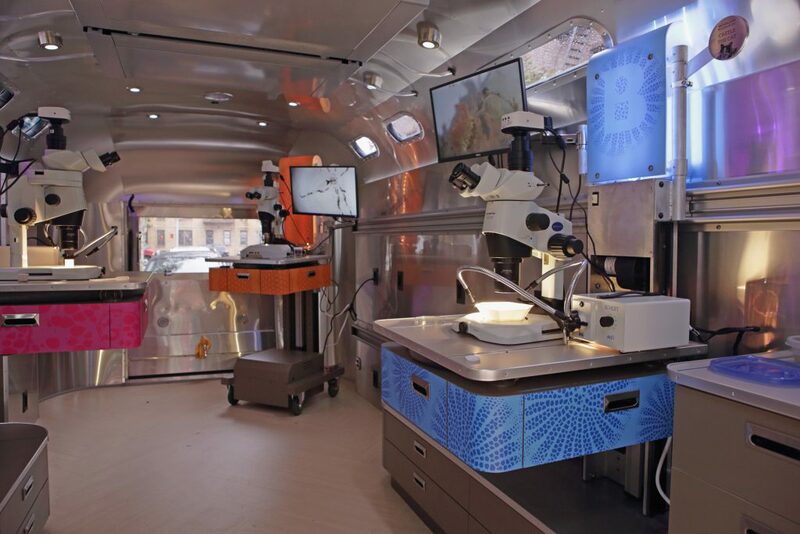 Over the past ten years, we have honed our mobile lab programs, advancing physical design, curriculum, and program operations to create our second mobile lab, BioBus II built on an Airstream trailer. We currently operate these two mobile labs as well as in-depth science programs outside of school time and paid high school and college internships. These programs are located at partner sites around NYC and at BioBase Harlem, our community lab. Kars4Kids: Of the youth you serve, 65 percent are black or Hispanic. But 80 percent of your staff scientists are from groups that are underrepresented in the STEM world, for instance black, Hispanic, and female. Is it difficult to find enough qualified staff members from these communities? Why is it important that they have majority representation as BioBus staff members? Ben Dubin-Thaler: Despite its diversity, New York City has one of the most racially and economically segregated school systems in the nation. Unfortunately, this inequality has set up many low-income students with less access to resources, materials, and time allotted for science education. BioBus was founded to address these disparities. Therefore, it is crucial for our staff to be representative of these communities so students can see themselves in the scientists teaching them. The scientific community recognizes they are critical to overcoming these disparities and thus BioBus has a huge amount of interest not only in scientists volunteering their time but also in our science staff positions. You can find a listing of current BioBus job openings at biobus.org/jobs. 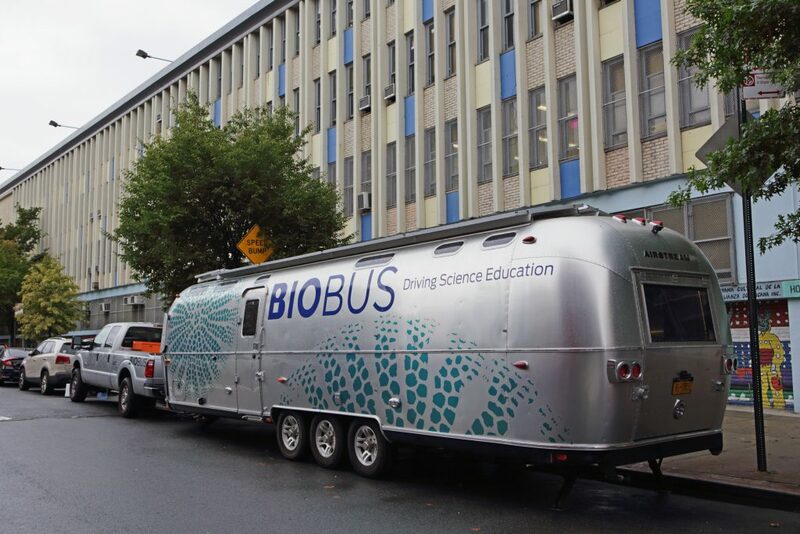 New York, NY, USA – October 12, 2017: BioBus II on its first outing, brings a science program to high school students at Wheels School on 182nd Street in Manhattan. Washington Heights Expeditionary Learning School is a junior and senior high school in Washington Heights. Staff presenting this morning’s program: Ben Dubin-Thaler, PhD, Founder and Executive Director; Sarah Weisberg, MSci, Chief Scientist; and Latasha Wright, PhD, Chief Scientist. Kars4Kids: Tell us about BioBase? How is it different from your mobile labs? What can you do there that cannot be done in the mobile lab? Ben Dubin-Thaler: The primary purpose of our BioBase lab is to provide a space for more in-depth exploration into science for those students who got a taste of it on the mobile lab. 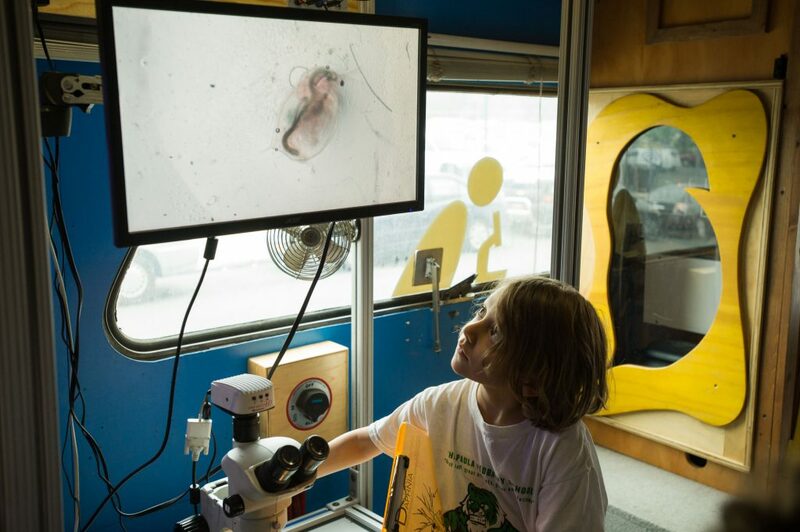 After just 45-minutes aboard a BioBus mobile lab for a “Discover” program, students have more positive attitudes towards science and want to do more. We offer “Explore” and “Pursue” programs at BioBase Harlem. Eight to twelve-week BioBus “Explore” programs provide students with opportunities to develop their own research practice. In “Pursue” internships, paid high school and college students take on their own research projects and take the first step on their science career path. BioBase programs are a way for students to explore their scientific interest over a longer period of time. Kars4Kids: BioBus seems to combine social justice with science. How are these two compatible? In what ways have they traditionally been incompatible? Ben Dubin-Thaler: The idea of science and social justice is something BioBus believes should be combined in such a way for positive change. Traditionally, science seems to be taken out of the social and political equation. BioBus wants to bring science back to the forefront of those minds who can be the catalyst for change. When science is seen as something fun and exciting, we can give students the opportunity to pursue a scientific career who might not otherwise have had that chance. Kars4Kids: Why is making science exciting important for children from low-income communities? Ben Dubin-Thaler: Students who attend the highest-poverty schools (where at least 75 percent of students qualify for subsidized lunch) are less likely to have access to science materials, classes, and opportunities, compared to low-poverty schools (25 percent or fewer students qualify for subsidized school lunches). Moreover, when looking specifically at hands-on science, there is a statistically significant gap between high poverty and low poverty schools in the percent of both fourth and eighth grade students who get to do science activities or labs at least once per week. This difference is a product of simple lack of access to appropriate facilities: high-poverty schools reported having less space, equipment, or supplies for labs than low-poverty schools. BioBus mobile and community science labs are informal science settings providing schools and communities access to research science labs, creating a setting for students to engage with the nature of science and perform hands-on, minds-on scientific inquiry. Kars4Kids: Let’s say a kid has an exciting experience with BioBus, but what happens next, when the sessions are over? Is the excitement sustainable: is there a way forward and a direction for a child to channel that excitement? Ben Dubin-Thaler: Yes! The guide to science at BioBus is through our pathway of programs known as Discover, Explore, Pursue. 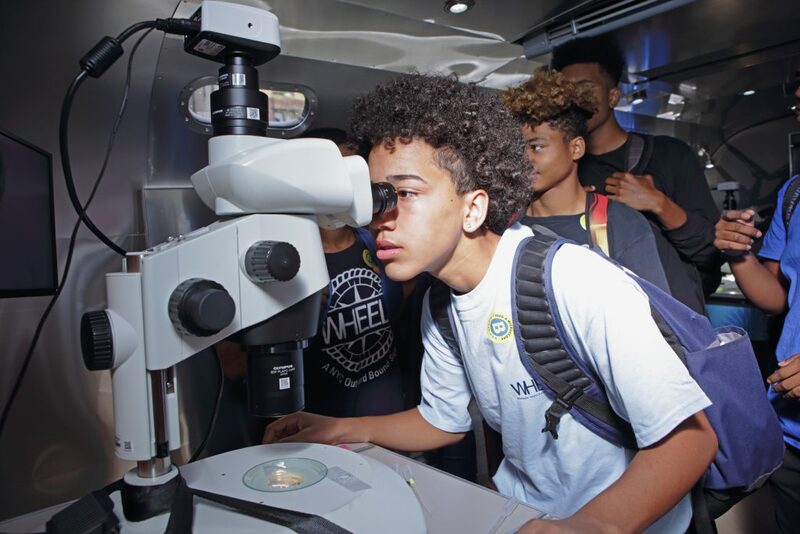 Students discover the excitement of hands-on science aboard our mobile labs, equipped with $75,000 worth of microscopes and staffed by scientists. 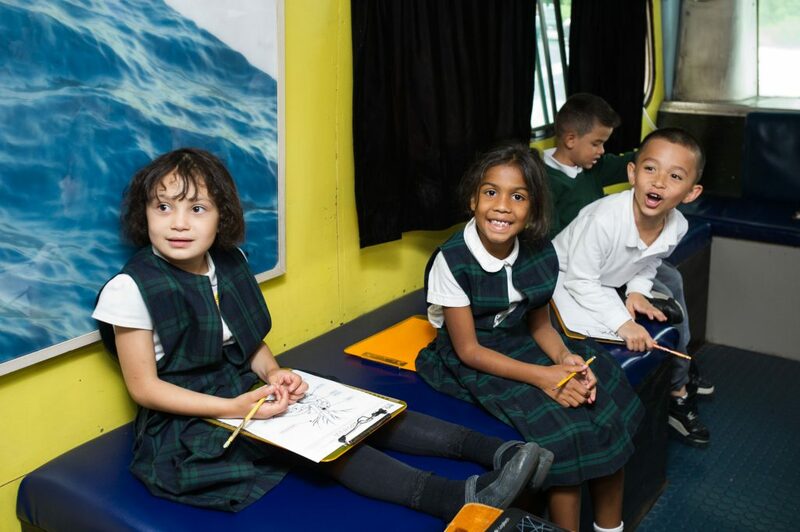 After a quick science lesson on the BioBus, students often have the drive to try more science. Our “Explore” programs give students the opportunity to take that love for science even further. We also support our students in becoming tomorrow’s scientific leaders through our “Pursue” paid internships for high school and college students. BioBus interns develop an independent science research project while serving as mentors to many of our younger students through teaching. Kars4Kids: What is Saturday Science? Ben Dubin-Thaler: Saturday Science is a collaborate “Discover” program. 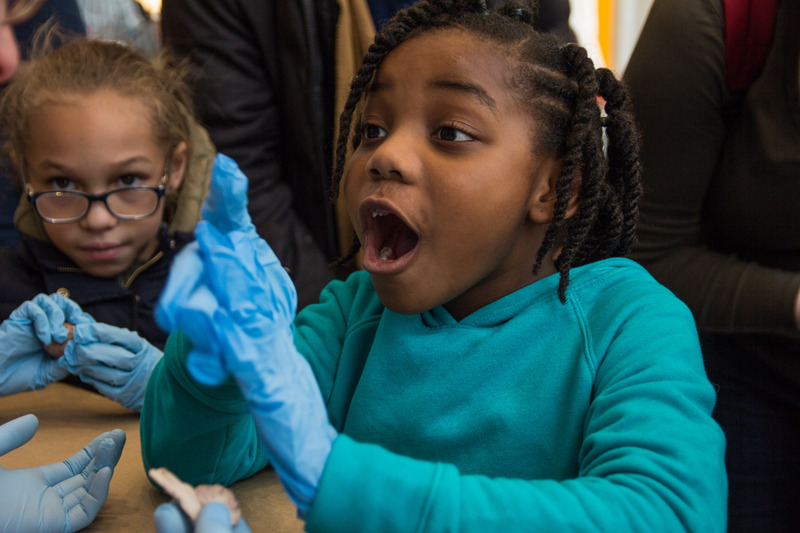 During Saturday Science, we invite families and community groups to explore science through hands-on activities and unique scientific resources at BioBase Harlem. Our activities and demonstrations are designed to be engaging and informative, and as launching points for further exploration, reflection and discovery. Themes and materials change to incorporate the wide-ranging topics in neuroscience and the latest discoveries coming from our labs of our partners at Columbia’s Zuckerman Institute. Kars4Kids: Tell us about some of the science projects kids get to take part in during a mobile lab. Ben Dubin-Thaler: During a mobile lab visit there can be a number of different lessons taught depending on what the teacher that day requested. BioBus is able to adapt our lessons to be attuned with what the students are learning in school at the time. Often, our scientists like to use Daphnia magna, a small freshwater crustacean found throughout NYC to display on the microscope. Daphnia is very versatile for teaching purposes and can be used in different ways for students from Kindergarten to High School. Daphnia are almost barely visible to the naked eye and translucent, so students can easily see the power of a microscope by viewing them. Kars4Kids: Tell us about the solar panels you use to generate the electricity you use in your mobile labs. How do you convey to kids the enormity of what this means, and the amount of power you’re able to generate and use by simply harnessing the power of the sun? Ben Dubin-Thaler: The solar panels are one of the most enticing aspects of our mobile lab. Our Ph.D. and masters level scientists are prepared to explain the science of how solar panels work and talk to students about the overarching theme of sustainability. On our mobile labs, we can easily see meters and graphs showing how much energy is generated and used at any time and can relate this to the amount of sunlight on a given day – turn on a microscope and you can see the energy use spike! Kars4Kids: What’s next for Biobus? Ben Dubin-Thaler: We are full speed ahead! Our first mobile lab, BioBus I, is currently under renovation for the new school year. In the coming years, we plan to build more mobile and community labs. With the help of our generous funders (foundations, business, government, and individuals), we hope to do this sooner rather than later. There are over 1 million public school students throughout NYC. Our goal is to reach each and every one of these students and expand beyond NYC to engage everyone in the excitement of scientific discovery.